EDINBURGH, Scotland — Measuring the level of methane production from livestock is an ongoing project around the world as governments attempt to inventory greenhouse gas emissions. At Scotland’s Rural College, researchers are looking at emissions and the correlation with feed efficiency in cattle and sheep. 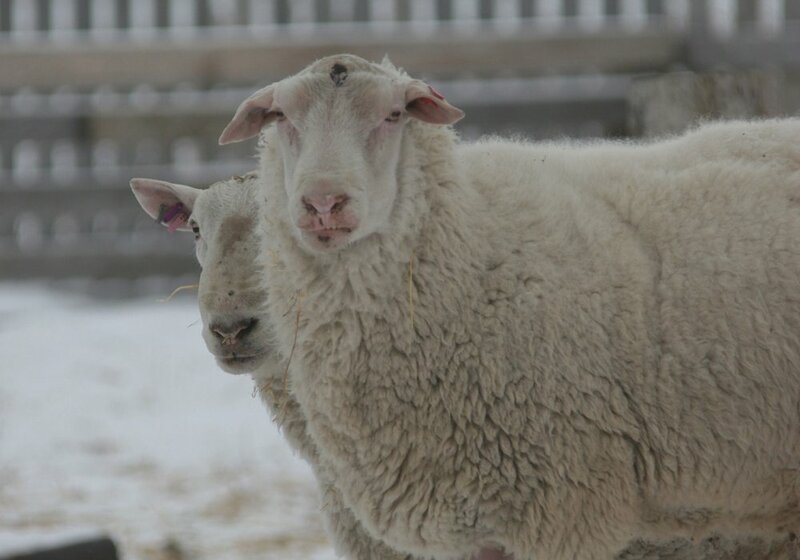 Since most Scottish livestock is raised on remote hillsides during the summer and brought into barns for winter feeding, capturing those readings is a challenge. 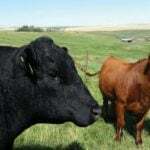 “It is very labour intensive and very expensive to do,” said re-searcher Carol-Anne Duthie at SRUC near Edinburgh. The college is a private agriculture institution that specializes in education, applied research and consulting. Research results need to be practical and relevant to farmers. 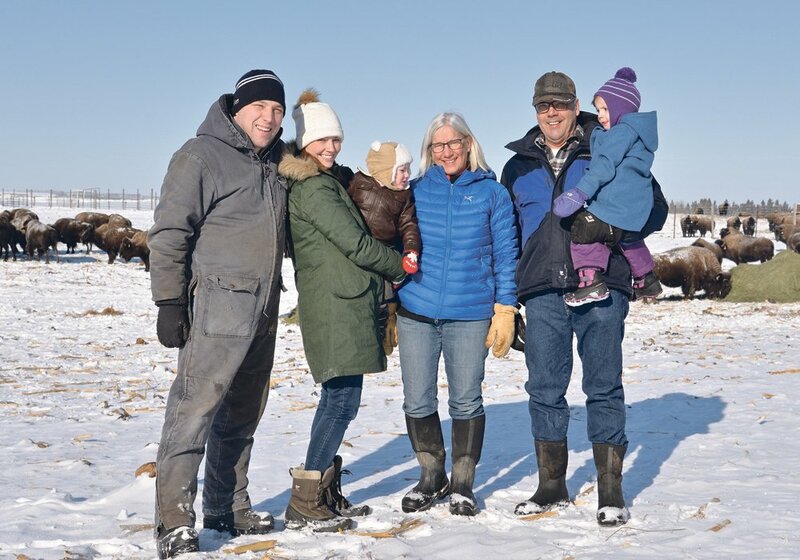 “Anything we develop has to come in at a price point that farmers would be able to invest and see quite a quick payback,” said Duthie. The methane projects are part of the United Kingdom greenhouse gas inventory project funded by the Department for Environment and Rural Affairs and the Scottish government. 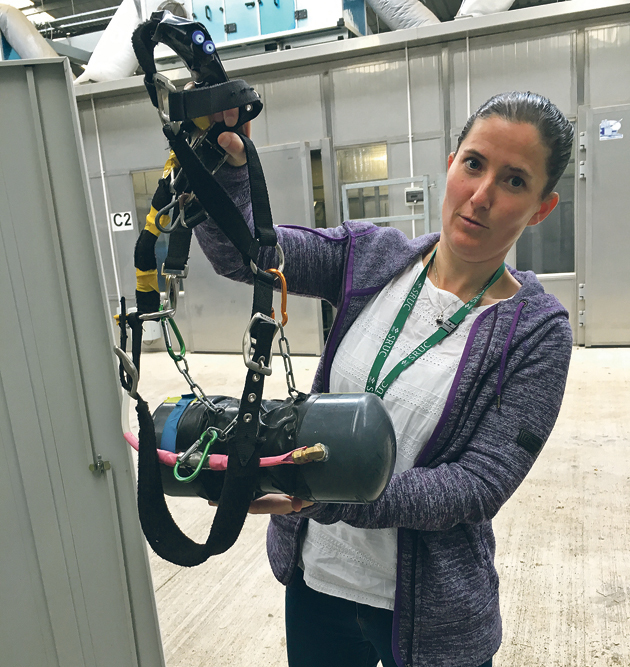 Animals from the SRUC beef and sheep research centre were used to measure emissions while they were grazing as well as while living indoors. The college owns a herd of 300 Angus-Limousin cross cows as well as a small group of the American composite breed called Stabilizers, and Luings, a Scottish hill breed. It also owns a flock of Scottish Blackface sheep. 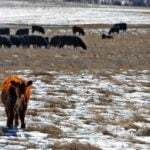 Research focused on commercial diets fed to the kind of cattle typically found on a U.K. farm. 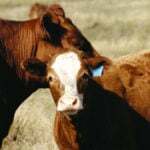 Results showed feed efficiency varied by about 30 percent from the most to the least efficient animal. Efficient animals eat less and that can translate into savings. The most efficient animals released 15 percent less methane. 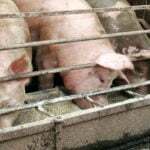 There was no change in the animals’ growth, carcass grade or eating quality. 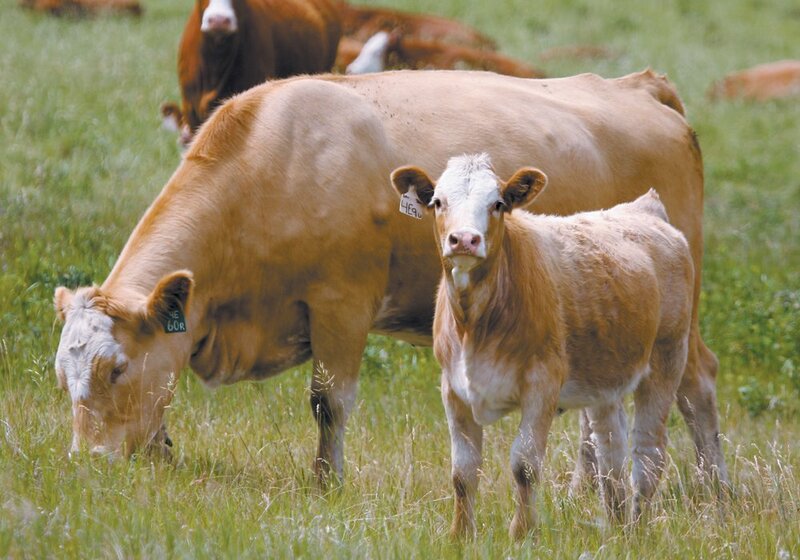 Ultimately the net feed efficiency trait is 37 percent heritable so it is possible to select animals that are more efficient without compromising other traits. Different collection systems were used. 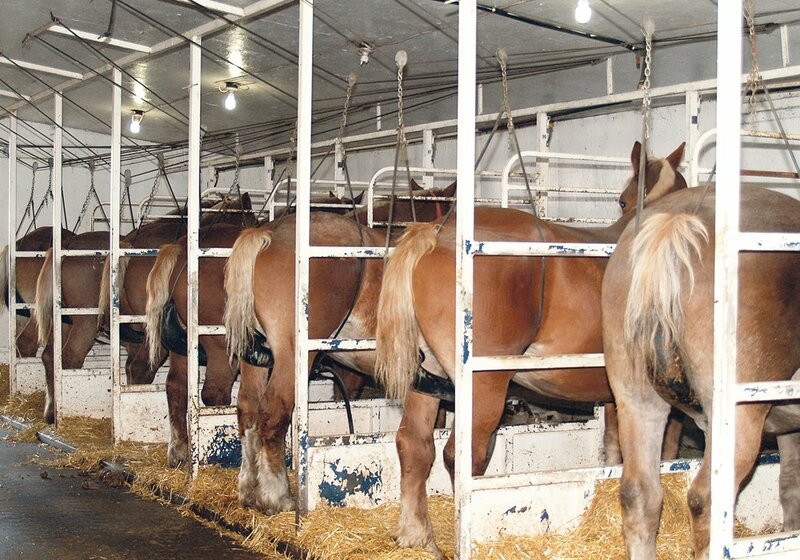 All research livestock wear electronic identification eartags and all data collected is correlated to the individuals. A feed bunk system with specially designed plastic hoods captures methane, oxygen and carbon dioxide at the time of feeding. While the eructations were flowing across sensors, other data was collected on live weight gains and body conformation to build a three-dimensional assessment that determines when animals are market ready. In addition, every time an individual goes to the water trough, 64 data points of information are collected and attached to the eartag number. All animals at the facility are sent for commercial slaughter and results come back from the abattoirs detailing carcass weight, meat quality and fat deposition of each individual. The data is also used to measure net feed efficiency by correlating daily dry matter intake, daily live weight gain, backfat depth and carcass merit. Individual cattle were also selected to collect emissions while they were housed in a specially de-signed unit called the Green Cow facility. It consists of six enclosed chambers measuring about eight by 10 feet where cattle are held individually to collect emissions for 72 hours. Monitoring livestock in pastures involves attaching special canisters to the animal’s head to capture gas over a 24-hour period. It is heavy and cumbersome but the canister is an internationally approved device, said Duthie. The college is developing a simpler collar derived from the dairy sector to detect heat. The collar is less bulky and has a mobile sensor that transmits a wide range of data, including emissions, to a central office through a cloud based server. 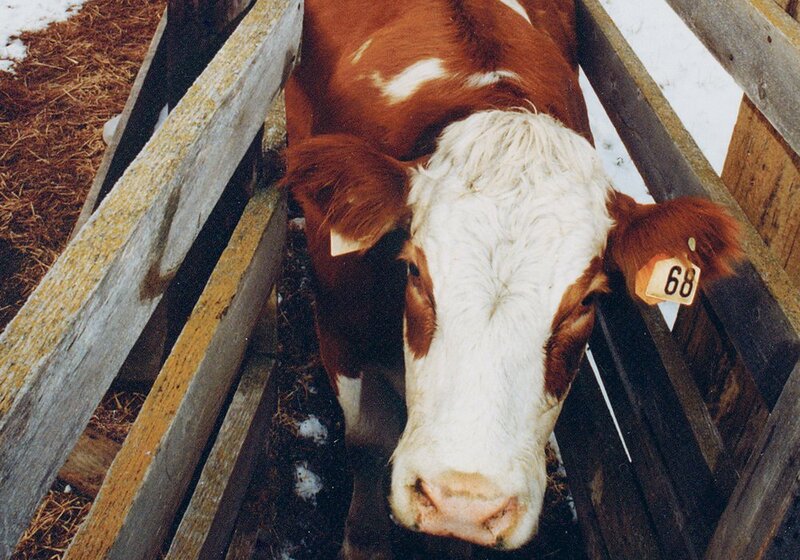 Besides emissions, the collar monitors movement, eating and rumination. If an animal pauses in any of these activities it may indicate early illness that can be treated sooner. “Once they are on the hill you don’t know anything about them. We are trying to think of ways to monitor these animals while they are outdoors and keep track of them,” Duthie said. A side benefit is keeping track of lambs grazing on hillsides. About 30 percent of Scottish lambs are lost due to disease, predation and theft. If they are wearing the collars, these losses could be reduced because the lambs would be monitored more closely.